Happy Wednesday, dear friends! Can you believe that Christmas is only twelve days away? I sure can’t! Time flies so quickly, and before you know it, the big day will be here. Today, I am anxious to share my breakfast room adorned for the holidays. The room has lots of wonderful natural light and is situated between the kitchen and sunroom. For this tour, I decided to set a simple table that is perfect for enjoying milk and cookies on Christmas Eve. I was inspired by these cute Santa plates that I found at World Market last week. On the side board, I placed a Christmas platter flanked with red candles and pretty bows. Christmas greens, berries, and pinecones are scattered at the base of the platter. In the window seat, I hung an apple wreath and filled a bread bowl with apples, pinecones, and winter greens. I flanked the bread bowl with candlesticks tied with red bows. On the chandelier above the breakfast table, I embellished the fixture with pine, ribbons, crystals, and red ornaments in different textures. I love the festive touch it adds to the room. Some of you may be wondering where Mr. Faudree’s pastry table and rooster lamp are placed in the new house. Well, they found their home on this wall on the opposite side of the breakfast area. It is just the perfect spot. These pieces are very treasured and were handled with extra care during the move. The table is simply adorned for the Christmas season with fresh fruit, pretty winter flowers, and greens. Below is our family tree in the sunroom. It is filled with special ornaments that hold treasured memories and homemade ornaments made by my children. My sweet friends, I am so happy that you stopped by for a visit. I hope I won’t disappoint you, but this is my last post for the year. With all of the hustle and bustle of this year, I just need a couple of weeks to enjoy the holidays, spend time with my family, and just catch my breath. Mr. Bleu is actually able to take a much needed vacation, and my children are starting Christmas break Monday. I just want to spend this special time enjoying every moment and focusing on them. I promise to be back the first of the year. I still have more of the new house to share with you. Friends, I am so thankful for each of you. Your visits make my day! It is my most heartfelt wish that you have a very safe, blessed, and Merry Christmas!!! 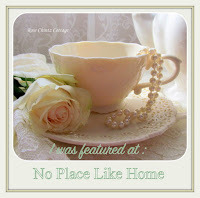 I’ve enjoyed seeing the photos of your new home and the interior designs. It is all lovely. The Christmas decor is very festive. Merry Christmas. Enjoy the holidays in your new home and in close proximity to your family. Shannon…everything is just beautiful….I so love, love your pastry table and lamp and I so remember first reading about it and thinking how wonderful it must have been to be able to purchase some of CF’s things…Question…is that side board table Ethan Allen? I have a similar table in my dining room that travels from room to room at times….I think you are wise in taking a break to be with your family. I wish you and your family a most wonderful Christmas and Happy New Year Shannon!!! Shannon, I just love your breakfast room all dressed in festive attire! Your memory tree is so perfect! How wonderful it must be to own something of Charles Faudree. Enjoy your time with your family and from my house to yours, may you have the merriest Christmas and Happy.New Year! I love your use of the “Temptation” picture. I have blue “floral lace” and enjoy using it seasonal. Every thing is so beautiful! Wow, Shannon you have knocked yourself out! Love all your decorations in your new home. So festive and happy! Wishing you and your family a very Merry Christmas.